Jade Clip Corner Gateway Glass Award with Rosewood Piano Finish Base. 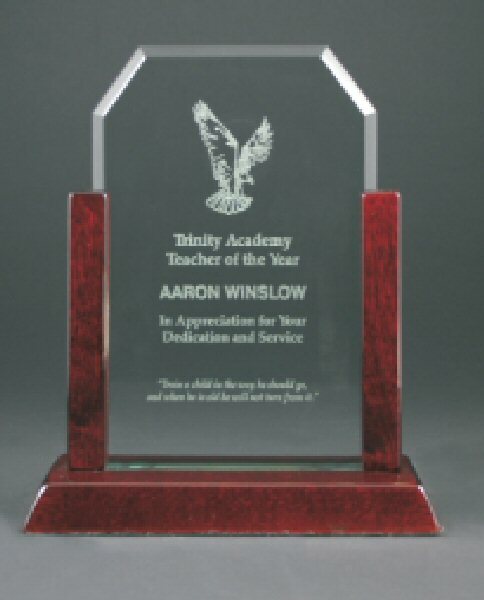 Free laser engraving on this 3/8 inch thick glass award. Before shipping, a proof will be emailed for your approval. Each award is individually boxed.